During his 31 years with the Metropolitan Police, Tony was responsible for training detectives as head of what is now known as the Metropolitan Police Crime Academy, re-establishing it as a major detective training school. After his service at New Scotland Yard, Tony became Head of Training and ultimately Managing Director of the training division at Service PLC. He then went on to become a founding director of Sancus specialising in investigative training. Tony holds the National Training Certificate and has delivered training internationally on behalf of the British Government. Before founding Sancus, Mick was a career detective with Lancashire Constabulary, achieving the rank of Detective Superintendent leading many murder investigations and training senior detectives. Since leaving the police, Mick has developed and delivered investigative training products to police forces and other bodies. Mick is also an experienced reviewer of unresolved crimes having carried out this role for a number of UK police forces as well as the Jamaican police. He has lectured extensively on criminal investigation both at home and abroad. By virtue of his work in healthcare regulation and training, Mick has become a Senior Associate Of The Royal Society Of Medicine. With 43 years Metropolitan Police service, including 9 as Deputy Assistant Commissioner, Bill led Serious Crime Operations overseeing the work of some 3,000 specialist detectives at New Scotland Yard, for 5 years. He then became the Met’s Director of Leadership Development. Bill orchestrated the strategic changes to homicide investigation and training following the Stephen Lawrence Inquiry, and he remains a keynote speaker on the Senior Leadership Programme at Bramshill and Ryton. On behalf of the Association of Chief Police Officers, he ran the Strategic Management of Critical Incident Training (1999-2009) and initiated the Professional Investigation Programme (PIP) that transformed crime training and accreditation at all levels in the police service of England and Wales. 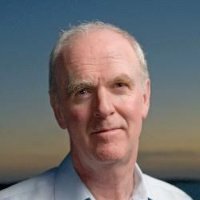 Bill is also an experienced leadership development coach and facilitator and provides strategic advice and programme design experience to Sancus, as well as training and development at the senior level. Grania is a senior mental health care and performance and quality professional who has worked in Primary, Secondary and Third Sector organisations for over 25 years. Grania is passionate and committed to improving the provision of integrated health and social care services to adults and children with mental health and behavioural issues. Through her work within the Third Sector Grania has substantial experience of user engagement in both their own recovery programme and in developing accessible involvement in organisational management. She is particularly interested in improving the quality of complaint and investigation management to support organisations and individuals to learn from incidents. This enables them to improve the quality of standards of service delivery and the experiences of patients and their families. Apart from extensive clinical and managerial qualifications she is also qualified (PiP2) to undertake serious and complex investigations, as well as Root Cause Analysis investigations. Please contact us to discuss your requirements with one of the management team.